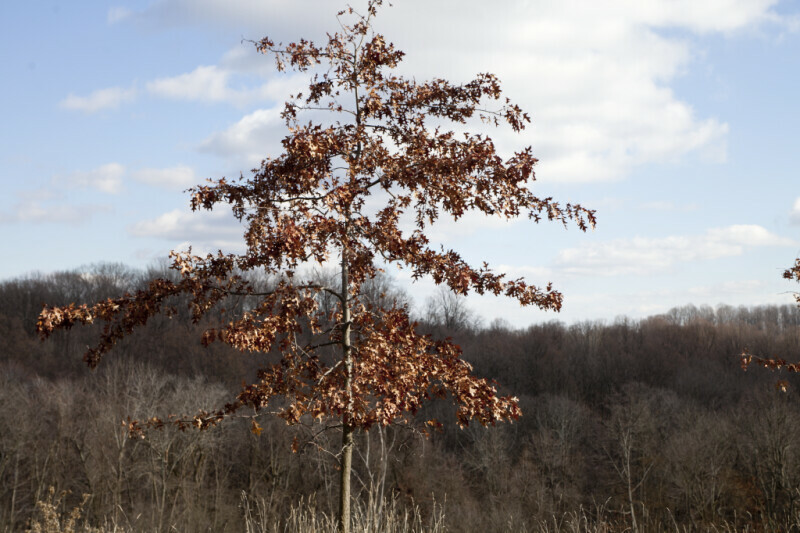 Photo of a skinny oak (Quercus sp.) tree with brown leaves taken at Boyce Park. WARNING: You are about to download a 12.3 MB TIFF!